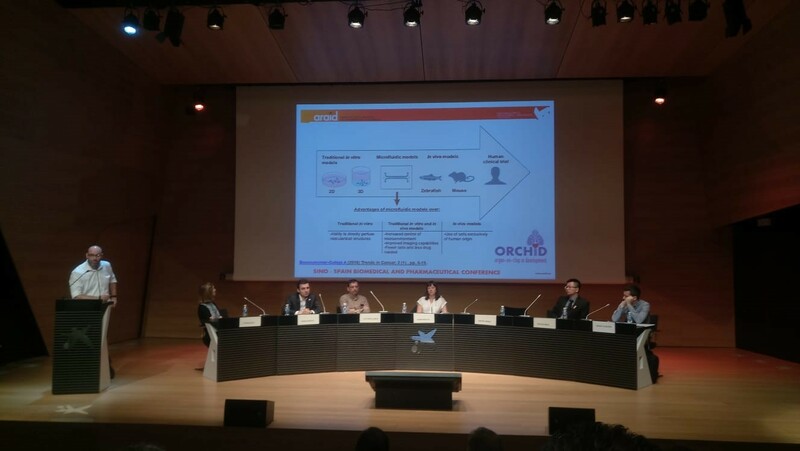 Last 7 June 2018 took place in Zaragoza, the Sino-Spain Biomedical and Pharmaceutical Conference, as a result of years of cooperation with Chinese institutions, organizad by Zaragoza University and Aragonese Foundation for Research & Development of Aragon Government (ARAID), to promote initiatives and foster bilateral collaboration in biomedical and pharmaceutical sectors between Spain and China. Researcher of three units of NANBIOSIS partcipated in the Conference: from U13. Tissue & Scaffold Characterization Unit, Manuel Doblaré and Iñaki Ochoa who gave a talk on “Organ On Chip: Applications for cancer research”, from U9. Synthesis of Nanoparticles Unit, Jesús Santamaría, who spoke on “Research on nanomedicine at the Nanostructured films and particles” and from U27. High Performance Computing, Esther Pueyo, who spoke about “Patterns of cardiac aging: Mechanisms and relation to disease” and Laura Ordovas, as moderator.